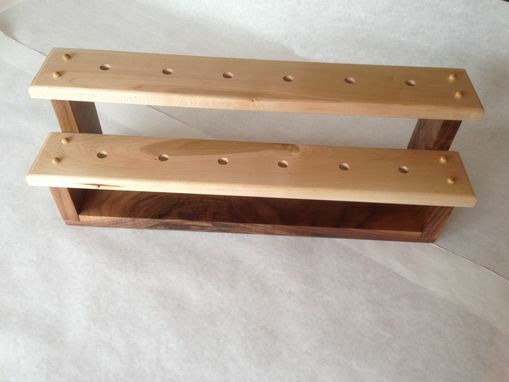 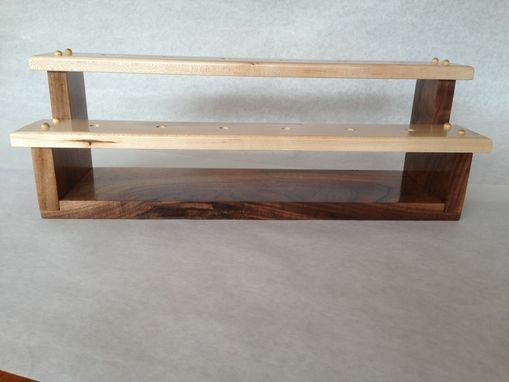 At almost 18 inches wide, this two tiered Walnut and Maple rack will display 12 of your favorite wine bottle stoppers. Custom built to hold your stoppers with straight sided ends (cork) or tapered ends, the natural beauty of the wood will compliment your collection. 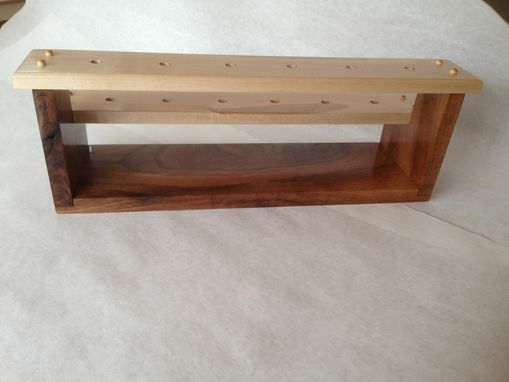 And theTung Oil Varnish finish will shine for years. 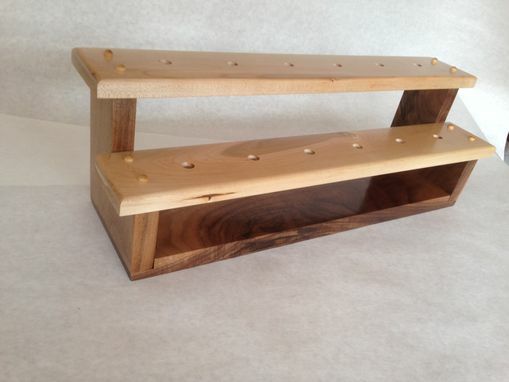 Additional tiers can be added easily if you have more than a dozen stoppers to display and other hardwoods (Ash, Cherry, Mahogany, and Sapele) are available at the same price.